1. Loan of up to 70% of the value of your property. The maximum loan amount that can be availed is up to 5 crores (as provided by most banks). 2. There is the option of Overdraft wherein you can borrow a large amount depending on your requirement despite having insufficient balance in your account. 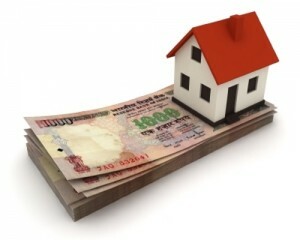 You can avail this after providing your property as a collateral. Your overdraft limit will be determined by the value of your property as well as your account history. 3. The total processing time is much less when compared to the processing time of home loan applications. 4. If the value of the property has risen during the tenure of the loan, the owners also have the option to avail a top-up on their existing loan. This is especially useful for business men. 5. There are convenient repayment options such as part payment or foreclosure and a more than sufficient repayment tenure of 5 to 15 years. 6. You can easily borrow against a residential or a commercial property. If you are looking for large funds in a short span of time, then you can definitely consider availing a loan against your property. Of course being eligible is a whole other story. Want to know more about being eligible? Visit our loan eligibility calculator.